Wine Spectator’s Top 100 Wines of the Year will soon be unveiled, serving to make good wines unavailable or, if they’re available, unaffordable. It’s the time of year when interesting wines dry up for the average consumer. Am I right? Isn’t this annoying? The 2012 list will wreak havoc on the wine marketplace. Here’s the problem with this criticism: It’s not true. And it ignores the point of The List. When it comes to Wine of the Year, savvy consumers can find most of the winners from the past decade (thanks largely to the outstanding Wine-Searcher.com). The wines from the top tens of the past decade are also easy to find. Let’s unpack this. First of all, the Wine of the Year does indeed see a sharp increase in price. Over the past decade, the average release price for the Wine of the Year was $67.60; the current average price is now $172.50. That’s an increase of 155%. 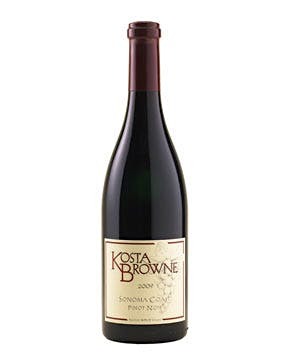 But if we discard the past two winners, the Kosta Browne 2009 Sonoma Coast Pinot Noir and the Saxum James Berry 2007 Paso Robles, the price increase falls to 95%. Do all wines of the year - like last year's top wine from Kosta Browne - become unaffordable? That’s a lot, but it does not make the wine off-limits. But let’s look deeper. The price increase evaporates the next vintage. Yes, it’s a brand new wine, but it shares much in common. The average increase in price the following vintage is only 3.4% of the previous year’s release price. In other words, if you really want the Wine of the Year, you can get it for a premium. If you want its successor, you can have it without paying a premium. Now let me make a brief statement about the rapid rise in price for the Wine of the Year: Who cares? It’s one wine. There are so, so many fascinating wines in this world. More than you’ll ever be able to drink. Either you can afford to track down the winner or you can’t, but it’s not a terrible loss if this wine fades from your radar. Instead of hunting for the Spectator Wine of the Year, you can get most of the rest of the list for a good value price. That’s a fair tradeoff. But there’s also one much better alternative yet, and it’s found on the pages of the Wellesley Wine Press. Bob Dwyer, a Massachusetts-based wine blogger, has created the coolest parlor game in wine, and for once it’s a wine contest that does not involve blind tasting. Two years ago, Dwyer decided to find out if wine lovers could figure out the Wine Spectator Wine of the Year — before the list was released. He opened up the comments section on his blog and guesses poured in. Each year the winner gets a prize; this year the prize is a $200 Amazon gift card. Beyond price and availability, the biggest concern with the list is that some readers think it’s supposed to represent the best 100 wines. It’s not. Some retailers think the same thing. Or at least, they sell the list that way when they make the wines available. I used to blame Spectator for this. I’ve come to understand that this is nothing more than a problem of reader comprehension, or perhaps retailer manipulation. There is nothing wrong with the list. There is something very wrong with a retailer that tries to convince customers it’s all about the best wines in the world, all while jacking up prices. The explanation for the Top 100 list is simple. According to the Spectator website, it’s a combination of quality, value, availability, and “x-factor.” The latter is described as “the excitement generated by a rising-star producer, a benchmark wine or a significant milestone for a wine region.” These criteria give the editors a wide range of possibilities. I asked Thomas Matthews, Wine Spectator’s Executive Editor, for a little insight into how the editors carve out the list, particularly the top 10. He explained that there are now ten tasters who submit wines from their coverage regions for consideration. Then the responsibility falls on Matthews, publisher Marvin Shanken, and senior editor Bruce Sanderson to narrow that list down to about 20 wines. At that point, the ten tasters and editors convene to whittle it down. Reducing wine to lists and points seems somewhat crude to me. I gravitate toward wines that express a real sense of place, and perhaps a bit of soul from the producer. Sometimes I’m smitten by wines that rack up 96 points; often I fall for wines that are maligned by the reviewers. That’s fine. My top wine might not make your list of the top 1,000, let alone 100. The best critics do a consistent job of scoring wines, but I’m concerned that the American and Asian markets in particular assume a score is the only factor that matters. The story and the work behind the wine can get lost. But I’ve come around on this one. The Spectator list might still be too beholden to California — three out of the top ten wines on the list are, on average, from California — but it otherwise sparks great conversation. The top wine is a kind of statement not just about a single bottling but about a region. Who and where are most worthy of that recognition in 2012? Which region offers the best value? The most unheralded quality? 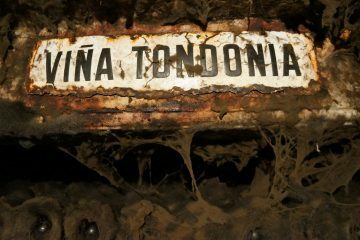 Which wine region is the most likely to explode in the next several years? Or, perhaps, which classic wine region deserves the top spot based on a drive to deliver soaring quality at an affordable price? Will this Gigondas be the Wine of the Year? If you’re interested, my guess for Wine of the Year is the Chateau de Saint Cosme 2010 Gigondas. It fits every one of the criteria. Fair price ($41), 95 points, reasonably available, and part of a vintage for the producer that Spectator now marks as the benchmark for Gigondas wines. The winemaker, Louis Barruol, is a white hot star who has had wines in the top 10 before. His Gigondas cuvees are regularly the most aromatic wines from the appellation while offering a seriously complex set of flavors. I’m not afraid to divulge my guess, because Dwyer takes a wine off the board once it’s chosen for the contest. But even if Saint Cosme suffers the great injustice of not winning, the point has been made: We’re talking about a diverse group of wines. We’re talking about trends and vintages and styles. It’s fun. Dwyer gets to hand out a prize. And many of us will seek out a few wines we’ve never tasted. Yes, there’s a lot of California, but there’s Portugal and Sancerre and Rhone and Loire and so much more in the mix. If you truly love wine, you love a good conversation about wine. Don’t stress about finding the Wine of the Year. Just use The List as another reason to think more about where wine is from, how it’s made, and what it’s telling us. The List isn’t perfect, but forget those 100-point scores — nothing in wine is perfect. It’s more interesting that way. Evan Dawson is the Finger Lakes Editor for the New York Cork Report and is completing a book about Finger Lakes winemakers. His paid job includes offering his best Ron Burgundy impersonation as a morning news anchor and political reporter for WHAM-TV in Rochester, NY. Great analysis Evan. Very interesting to see the varying price increases for the wines. I think it drops off even more sharply outside the Top 10. But the irrational price spike for the winning wine is quite striking. I don’t think there’s an equivalent phenomenon in wine – such an instantaneous spike in demand and sustained increase in price. You took my choice, but I’ll just have to go with another wine. Well done, Evan. I, for one, look forward to the WS 100 every year. And, just as I might not get caught up in whether a wine gets an 88 or a 92 or a 94 on the 100-pt scale, I don’t get too worried about number 1 or 10 or 82. I use the Top 100 to look for value, and my interests, and to find the gems that I might have missed during the year. And, perhaps, a representative to try if I’m thinking of exploring a new region or grape. It is a shame if some get overpriced, but I don’t have the opportunity to purchase many of these anyway in Pennsylvania thanks to our archaic system. And, of course, if you’re paying attention throughout the year, you can find these when they’re first released/reviewed.